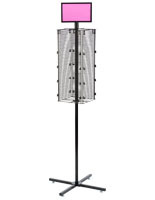 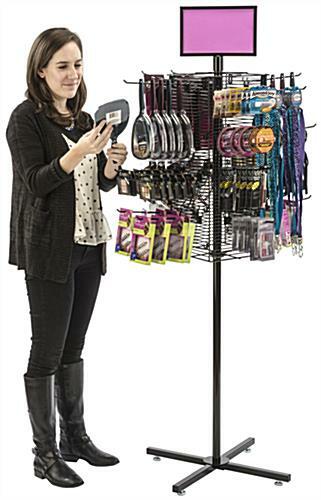 This x-base grid hook spinner rack is designed for stationary or mobile use and comes with (20) 10" long peg hooks. 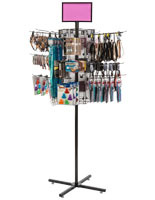 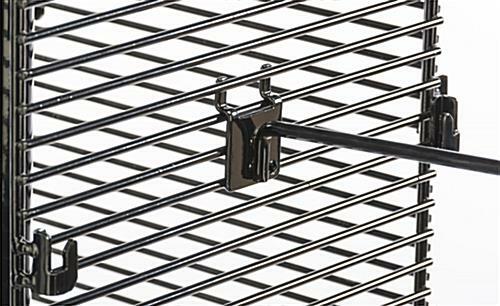 Each wire display stand is made of black steel, with (4) 9" x 24" grid-style hanging wall panels for hanging merchandise or other goods. 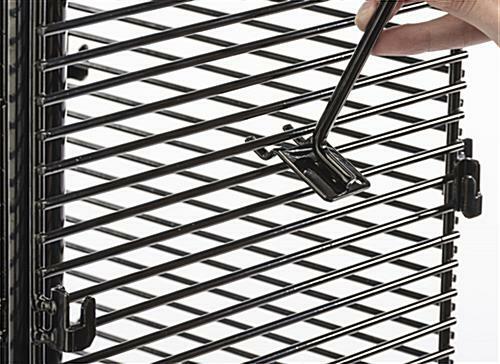 The sturdy grid hook spinner rack has a cross-shaped base that can be used with either the included caster wheels (2 of which lock for stability) or floor levelers. 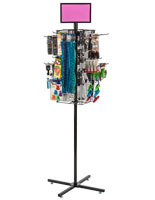 The 20 included peg hooks are designed to securely support merchandise while allowing customers easy access. 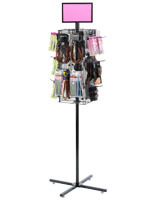 The black wire spinner rack rotates easily so that all four sides of the fixture are accesssible from any direction. 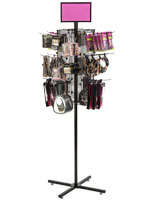 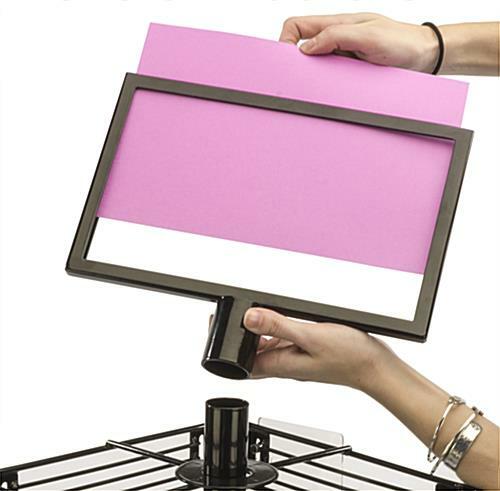 This stand is a space saving alternative to wall or countertop hangers and is ideal for fixed or portable use in retail environments from sales floors to trade show booths or storefront displays. 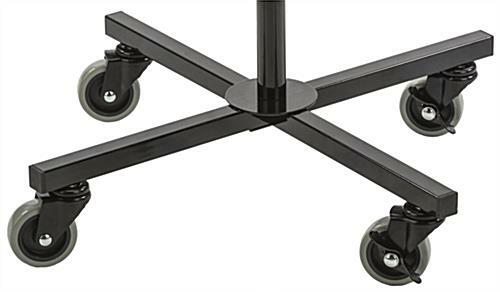 25.3" x 56.0" x 22.0"
24.4" x 4.6" x 24.4"
11.0" x 9.0" x 1.5"